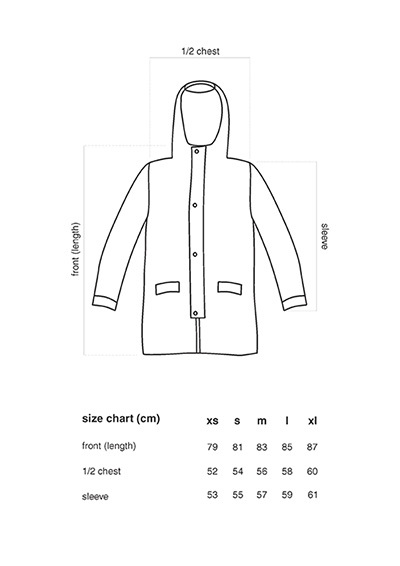 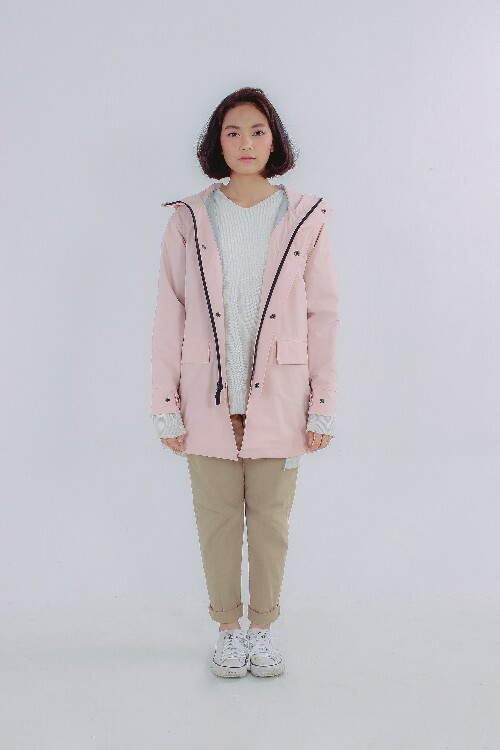 Peach Pink raincoat authentic series was made to brighten the rain itself and to gave a cheer into your day. 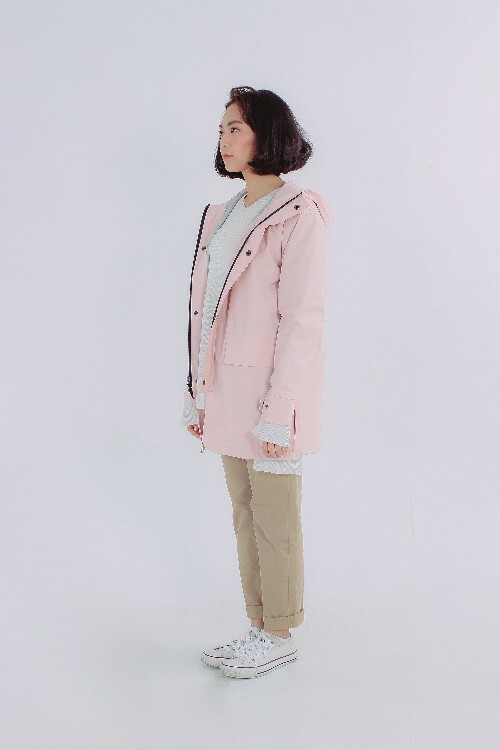 Despite the yellow color well known as raincoat uses, the concept behind this color is to bring an accent in midst of rain, of course the vibe of rain is kind of gloomy, so the color of pink gave the impression of bright feeling. 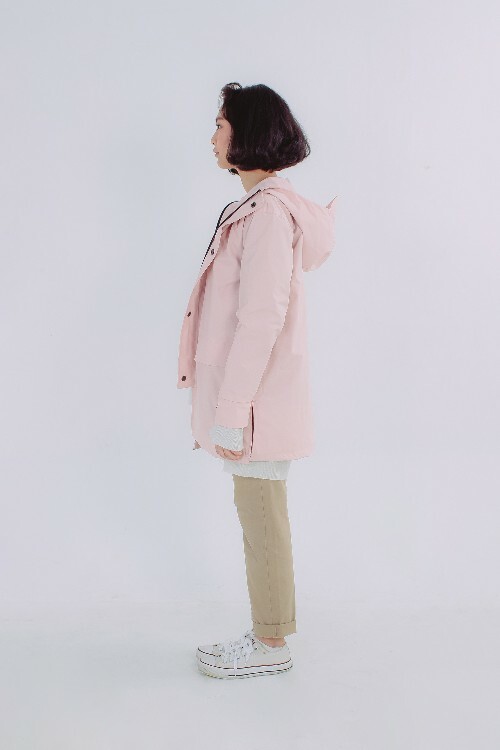 From this point of view, we also can see that fresh looks and muted color mixed with it.